Though this maybe different to my normal post, crafts are very much a massive part of my life. Being creative whether its creating and editing videos, to dress making and quilting. Crafts are very therapeutic and help so much with distraction and keeping busy. Something I enjoy and can get stuck into a craft for hours. 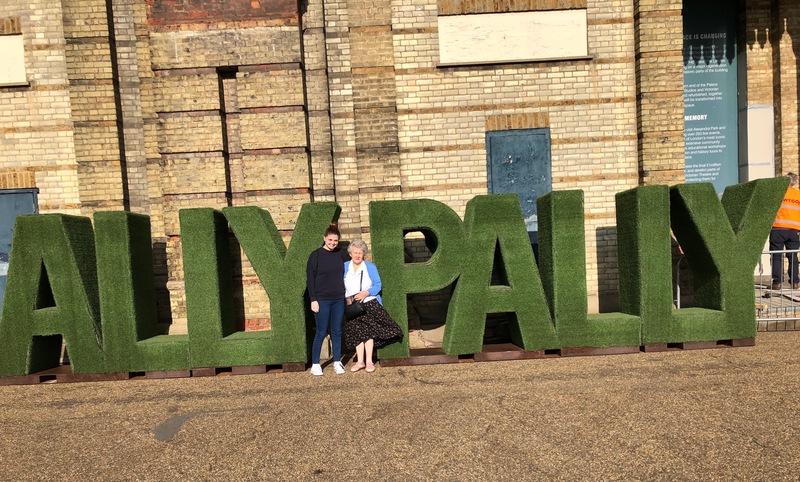 I have been to the Alexandra Palace Knitting and Stitching Show every year since I was 14. I use go with school and now I go with my Grandma and my Mum. We go every year and it’s always a good and expensive day. You can go there and think I don’t need anything but come away with several new projects to make. There are a variety of crafts there as well so it’s not all fabric, wool and machines. There was a lot of bead and jewellery making stalls this year. They also have demonstrations and shows there. So I had a list of what I needed but like I said it’s pointless because you always over buy or loose the list like I did. But I had in mind what I wanted. I went for some green fabric for my advent, a project for Alfie to do when we do Christmas jewellery making, Aurelia’s stocking fabric and fabric for my project I am making Aurelia for Christmas. I think I got what I wanted but I also got more. I was gutted Mandy Shaw from Dandelion Designs wasn’t there this year, that’s my all-time favourite stall to visit. Of course I came away with more than I went for and even started my Christmas shopping! I am really excited to make all I bought with the kids and my very own projects. 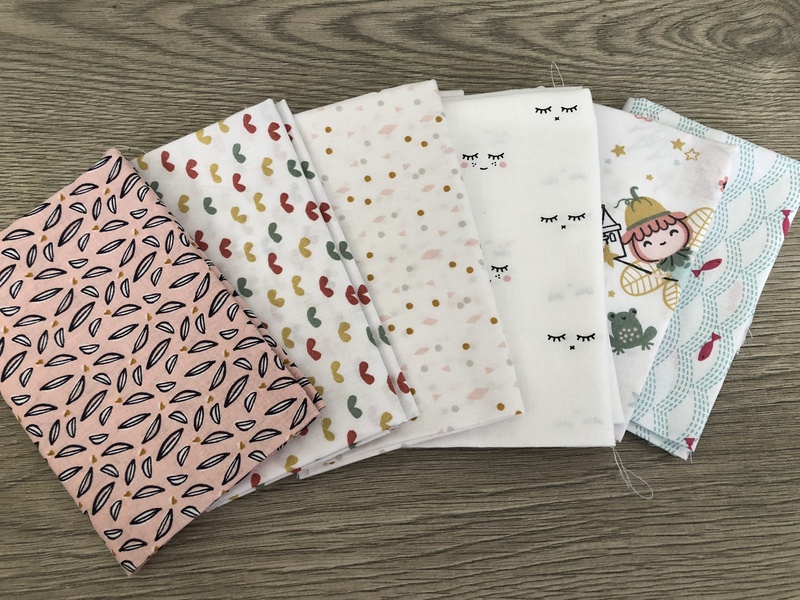 I also have my go to stalls the ones I love the fabric or I usually shop from them online so it’s nice to actually see the products before buying. You also have to get there early otherwise its super busy with various people pushing you out the way to get to stalls. So the first thing I brought was my a bundle of 6 fat quarters of fabric. These are from Higgs & Higgs a shop I regularly buy from online. I love their prints and patterns, the fabric is good quality too. I can normally make 2 blankets from the 6 fat quarters so works out good in value. The cute prints as well go so well together if you buy part of a set. Their prints and patterns always seem to be on trend at the moment. 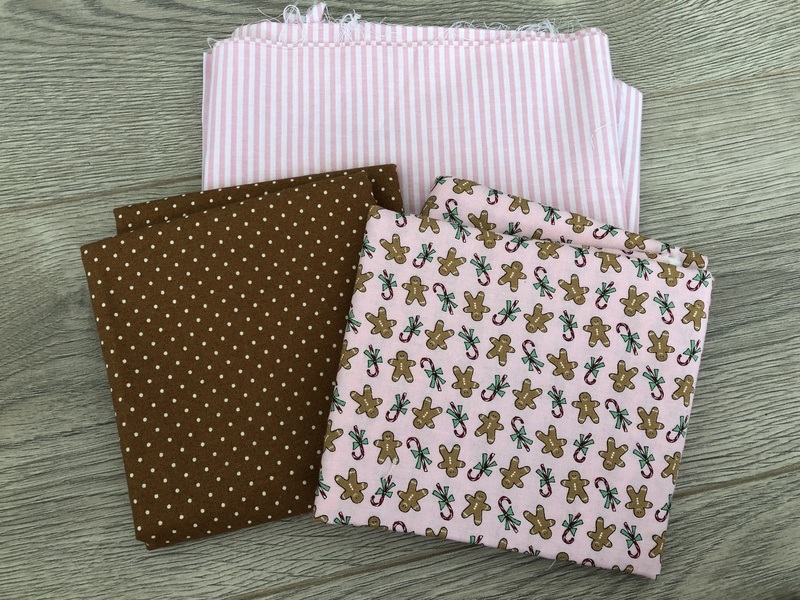 I brought these fabrics for a project I have never made before but as I am a perfectionist I know I will make sure this goes well if not I will work on this until I get it right. They worked out at £2 each or £10 for 6 fat quarters. For anyone non crafty reading this a fat quarter is half a metre cut in half making the square shape. These are adorable prints for a nearly 1 year old baby girl and I can’t wait to give this to her when its finished for Christmas. I selected various fabrics rather than buying a bundle. The next thing I brought was another fat quarter. 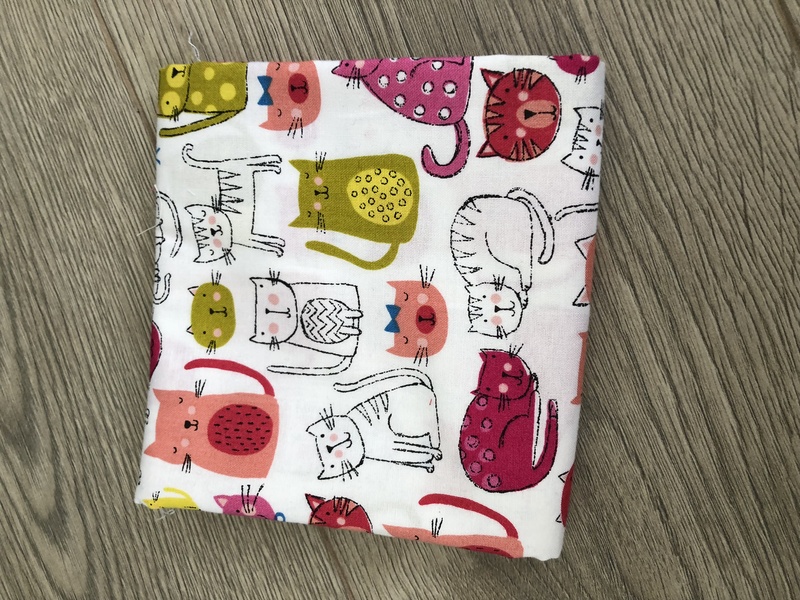 This is again for my Aurelia project and I love the bright colourful cats spread across the fabric. I have the best idea for Aurelia’s project and I may if I get time start this project even before this posts, it’s something I’m super excited to make. 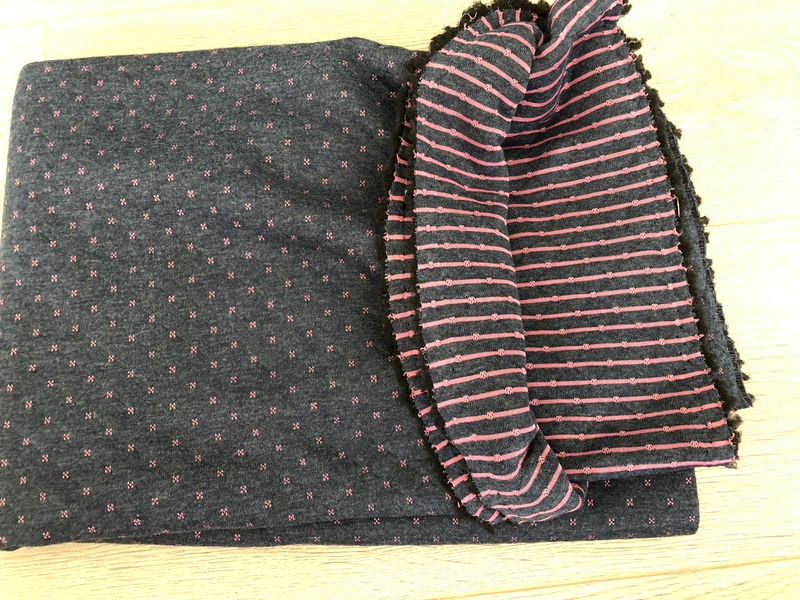 I also bought the fabric to make Aurelia’s stocking. I like to see the ideas on stall displays and take their ideas and adapt them to my own. There was a pink theme I had to stick with but I had free rein on the rest. I fell in love with the gingerbread men I saw on a Christmas quilt and that is where I got my idea for her stocking. I love how cute the ginger colour fabric with the white spots on? This went well with the pink and white striped fabric and the gingerbread and candy cain fabric in pink. I can’t wait to make this you will have to check out my Instagram account Madebymelaniexx for the finished product. Whilst at the show this year I wanted to visit Tilly Buttons. As you may know I did fashion and clothing at college and I am trained in dress making and designing my own clothes. I love Tilly’s patterns and wanted to try these out. I got this lovely dress pattern, which was displayed in a baby pink spotted linen fabric. This dress can be made for any season so it’s really good. I can see myself making this in a lot of fabrics, wearing with tights and boots in winter and bare leg and sandals in summer. The pattern also allows you to make a top. I think I will be making this with my Grandma. She told me when I brought it she would like to help me make it so why not hey! 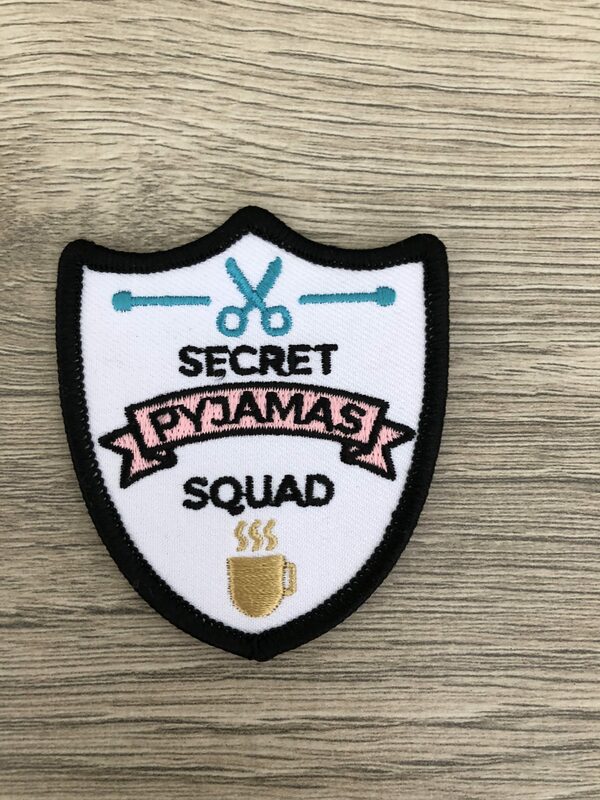 I also got this iron on badge because yes I am a secret pyjama girl. I love pyjamas and would wear them everywhere If I could. Yes I sew in my pyjamas. So it just had to be. 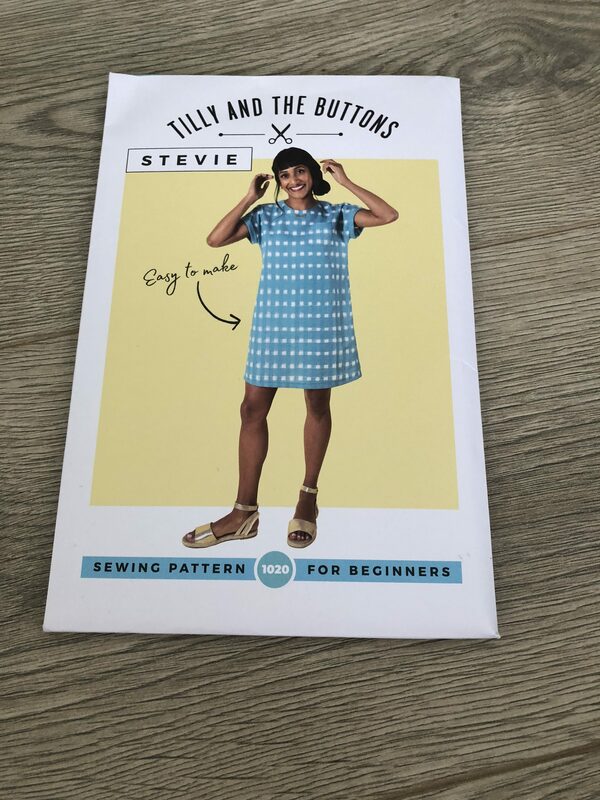 Watch out for a review in the upcoming weeks of Tilly Button as I also have a pattern I brought prior to the show. The next stall is new to the show, or one I have not paid attention to before. All their products are perfect for my Aurelia project. They tried to talk me into buying these foam blocks but no I have my project I have my ideas I know what I want. They are all baby and child friendly as well which is a bonus and so handy to have them there at the show, rather than buy online. I got a mirror, some crunchy fabric, beads, the fabric that’s sparkly to close the beads into the fabric, chewable plastic butterfly wings, a squeaker and a ring. Does this give you any ideas of what I am making Aurelia? Even writing this excites me to make this for her. The next stall I went to has beautiful Christmas baubles to make and cover in beads and gems. I normally get a bauble but this year I looked at the jewellery. There was a lovely snake bracelet and necklace but I said no to that. 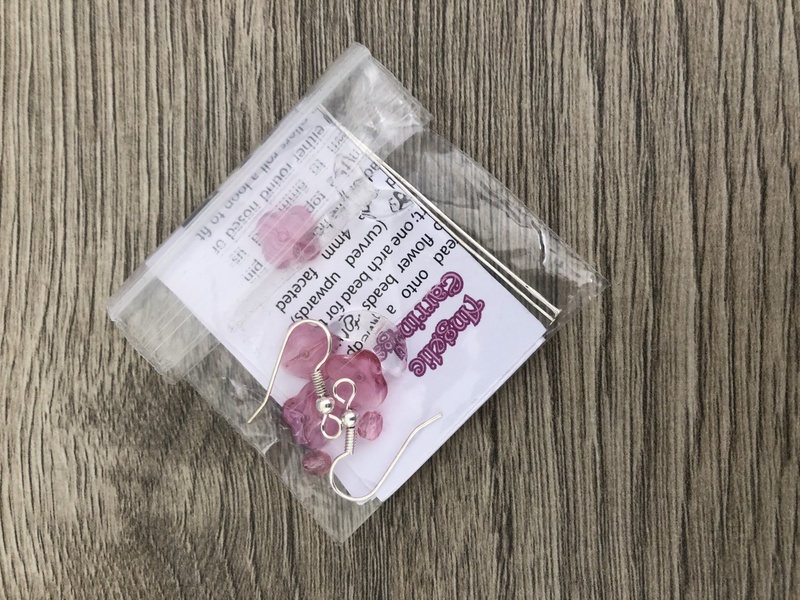 I did get Abigail a pair of earrings to make. They are bright pink and purple dangly angels. Something she can wear all the time. 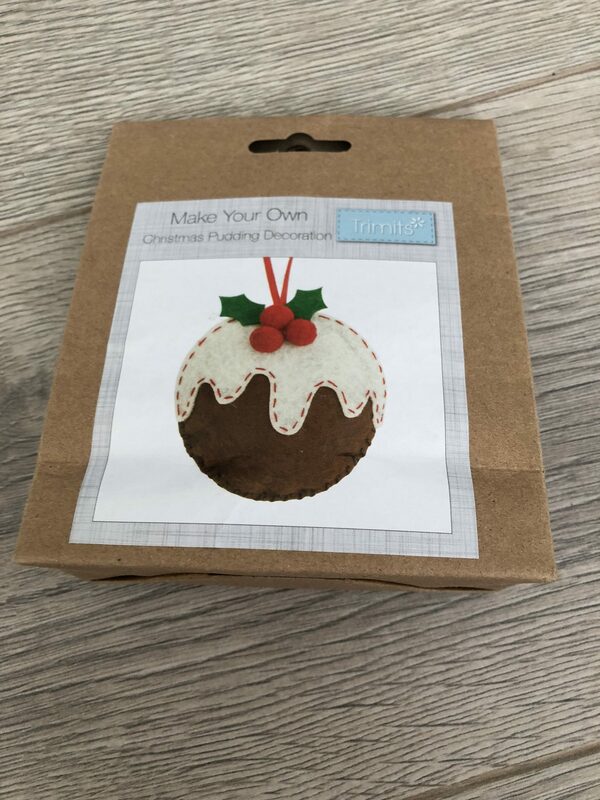 As jewellery making is girly, and I know Alfie will want to make something to, I got him this felt Christmas pudding to make. They are really easy and child friendly to make. Of course I will help him but this is something he can do whilst Abigail jewellery makes. I brought an Advent Calendar pattern last year from Mandy Shaw, and as its quite detailed and a lot of work I took it on as a two year project. All I really needed was the Christmas tree green fabric. I wanted to make mine my own and slightly different to Mandy Shaw’s example. 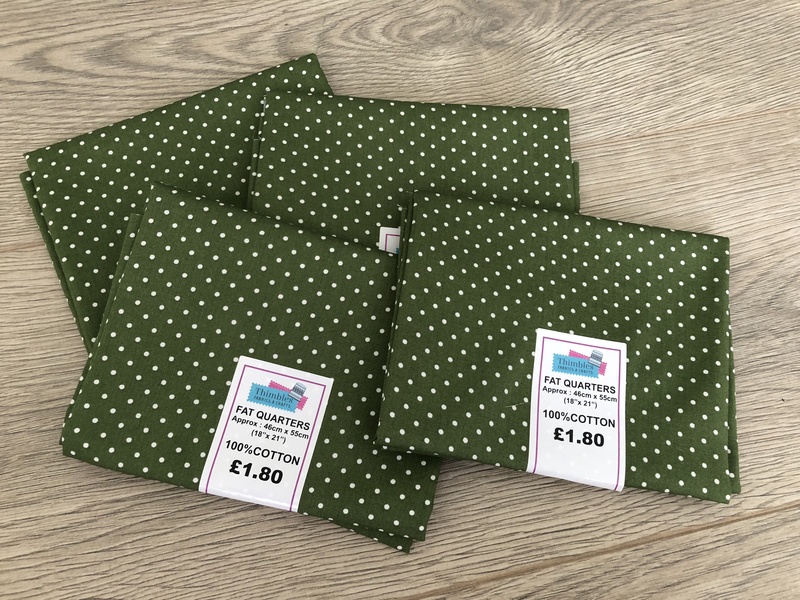 So I went for this olive green and white polka dot fabric. Because my backing fabric is quite plain I think this will go well together. I can’t wait to start putting this together after my holiday. Other than craft stalls they do have the occasion clothes, handbag and charity stalls. This might be my Grandma’s favourite stall as she buys from here every year. 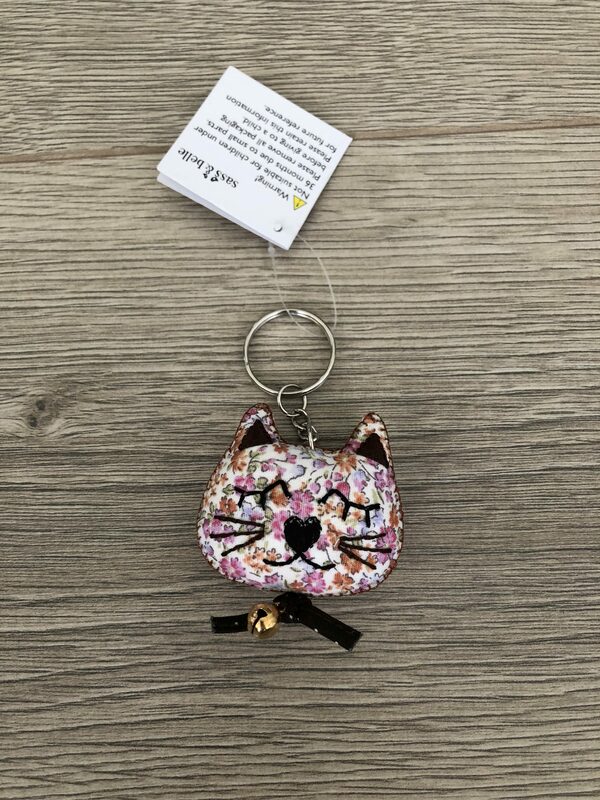 I was just looking whilst I waited for her and found this cute keyring that I fell in love with. It’s so cute. Then the final thing I brought was this gorgeous fabric from Fabric Galore. This is for my dress, I love this print. Its double sided as well so I want to use both sides to add a little extra to my dress. I think I will use the navy and pink cross side for the main dress and the pink and blue stripe for the bow and turn up sleeves. 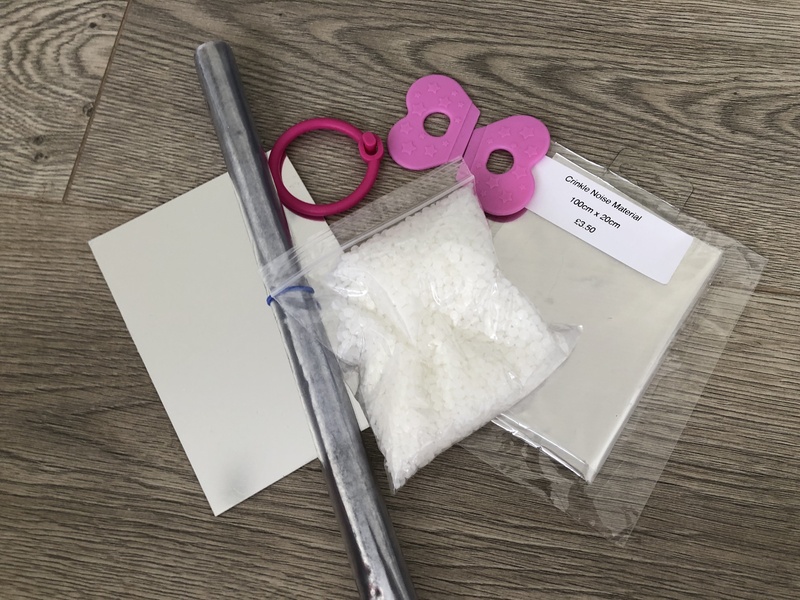 Do you like crafts, if so what you or what would you like to make?